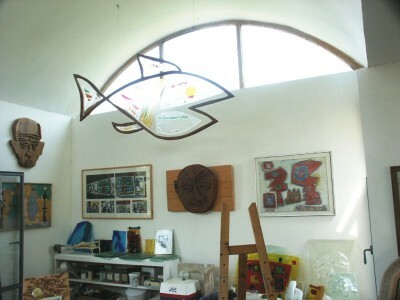 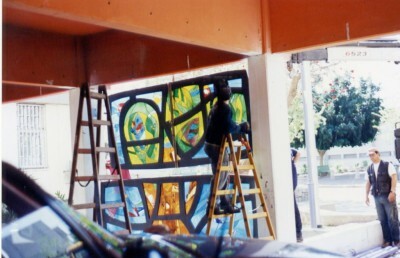 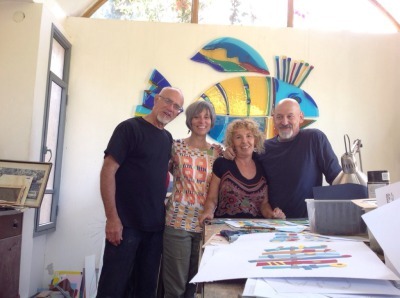 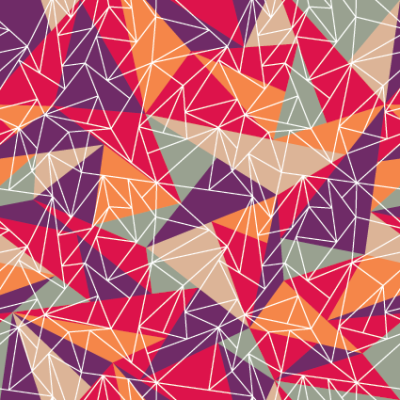 Ein Hod is an artists' village in Israel, close to Haifa, home to 150 artists working in every artistic medium, numerous galleries and studios, a museum, a restaurant, a pub and a café. This is the village where Robert Nechin lives and works. 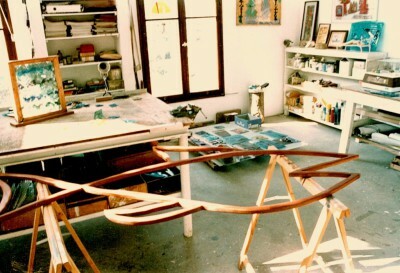 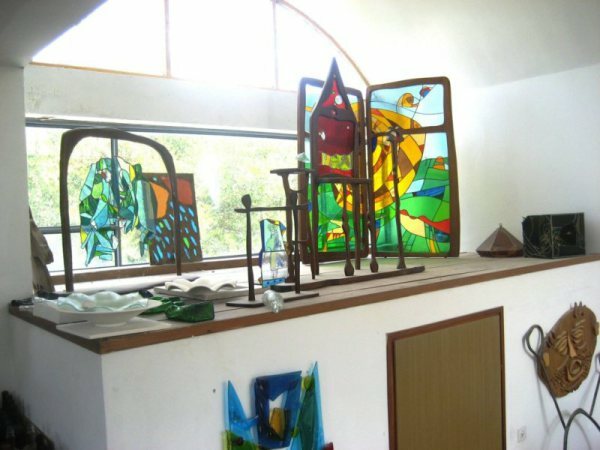 From the windows of his studio there is a view of the foothills of Mount Carmel with their sloping tree covered hillsides. 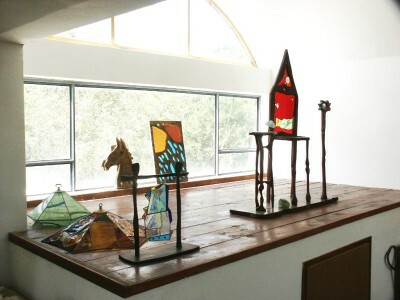 Further down, by the coastline, lie the remains of the Crusader fortress in Atlit, and the Mediterranean Sea is beyond. Inside the studio, full of light, there is a large work table, a kiln, stacks of glass, books, tools, and finished works everywhere. 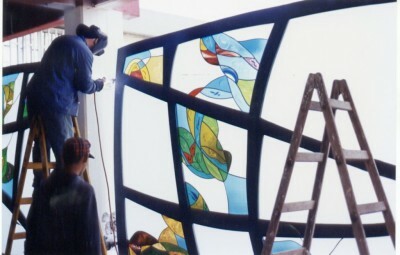 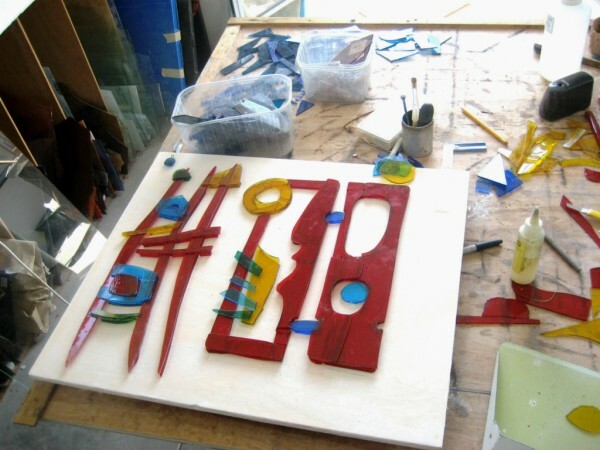 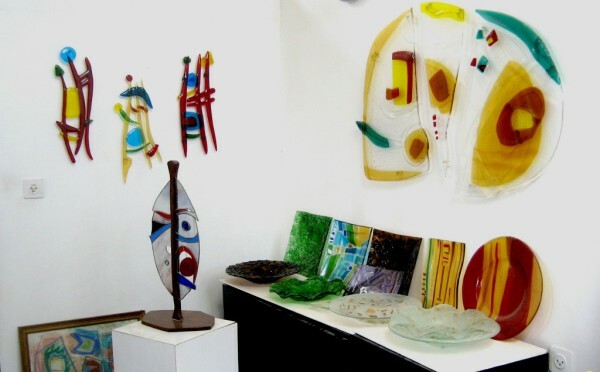 There are paintings, works in wood, but mainly works in glass - stained glass panels, sculptures, screens, wall pieces (wall sculptures) of fused glass, and "green" art - works whose raw material is broken recycled bottles. 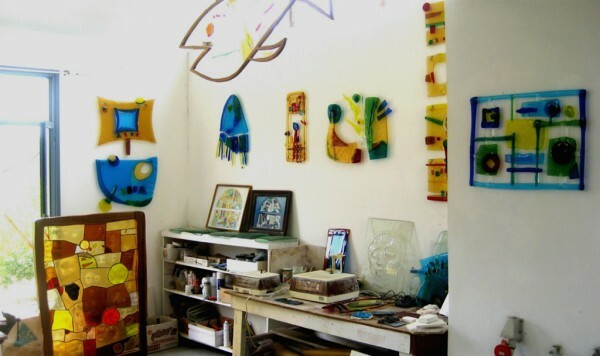 The studio is a place of activity and is not always neat and ordely.